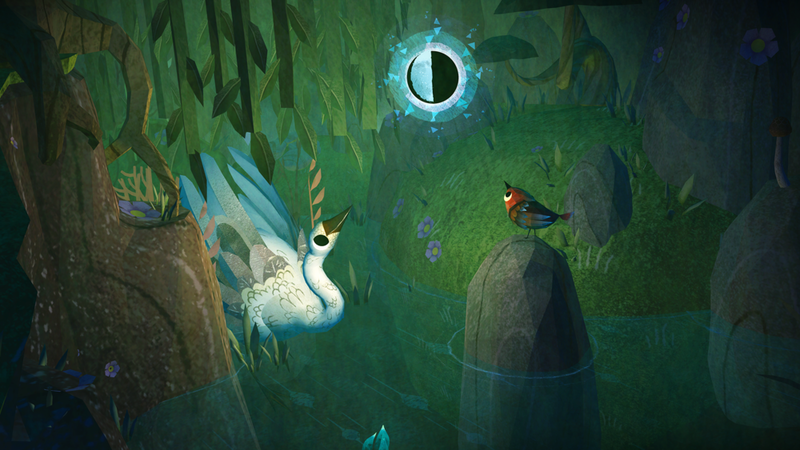 LUNA IS AN INTERACTIVE PC AND VR FAIRYTALE. Available now for Oculus Rift, HTC Vive, and Windows Mixed Reality, and PC (non-VR). Coming soon to PS4 and PSVR. Achievement Oriented Podcast - "When Will Video Games Finally Tackle Intimacy?" Venturebeat - "Lightning Talk by Robin Hunicke"
iDigitalTimes - "'Luna' VR Is So Good Kids Are Hugging Virtual Turtles"
Monstervine - "Luna dev interview ft. Robin Hunicke: The Game, VR, Funomena and Devs VR Responsibilities"
Newsweek - "Independent game creators offer a new political view!" Killscreen - "Our 12 most anticipated titles for virtual reality in 2017"
Gamespot - "Our 10 Favorite Indie Games at PAX West"
VR Focus - "Funomena’s Oculus Touch Indie VR Puzzler Luna Will Demo at PAX West 2016"
Vice - "Robin Hunicke Wants to Change Video Games, but She Can’t Do It Alone"
Gamesindustry.biz - ""Is there a space in games for the deliberately developmental game company?" 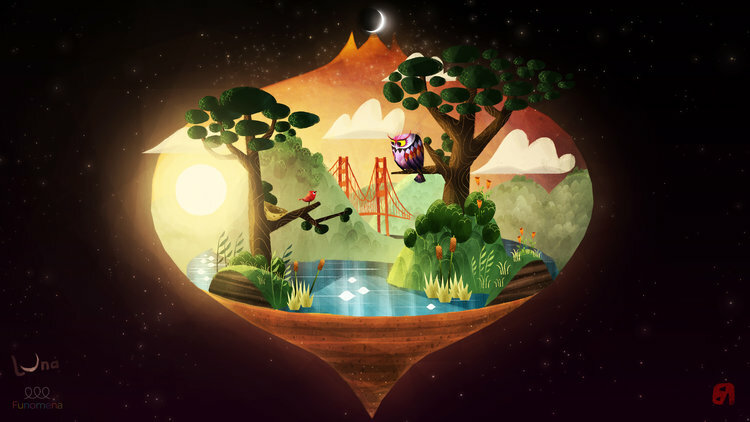 Voices of VR - "“Luna”: A Deep Game, Narrative Puzzler about Recovering From Grief & Trauma"
Around Your Screen - "Meet @Funomena, A #VR Game Development Studio Focused on Imaginative #Immersive Experiences for the Broader Audience"
Venture Beat - "Funomena’s Robin Hunicke believes in games with intentional play"
Engadget - "'Luna' is a whimsical puzzle game that takes place in the stars"
Kotaku - "A Game About Becoming A Better Person. And Claymation Birds"
i-D - "Playing the game: indie VR developer Robin Hunicke is changing a generation"
© 2017 Funomena LLC. Funomena, the Funomena logo, Luna, and the Luna logo are trademarks in the United States of America.